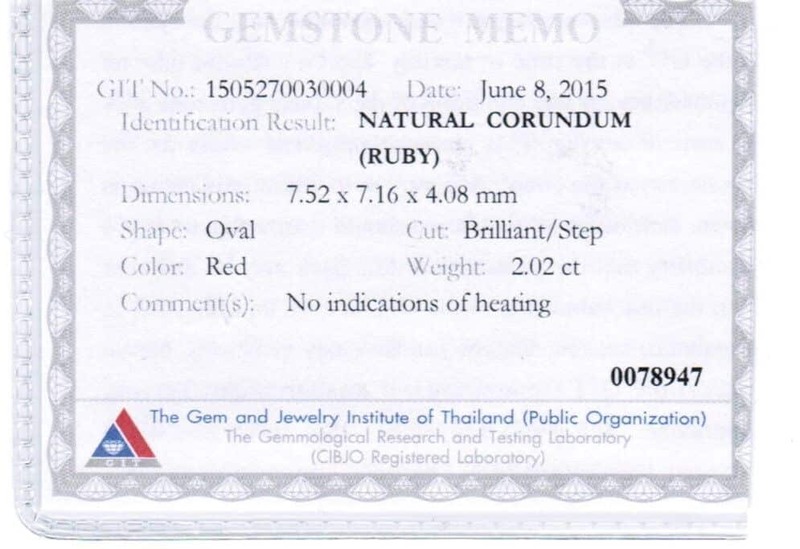 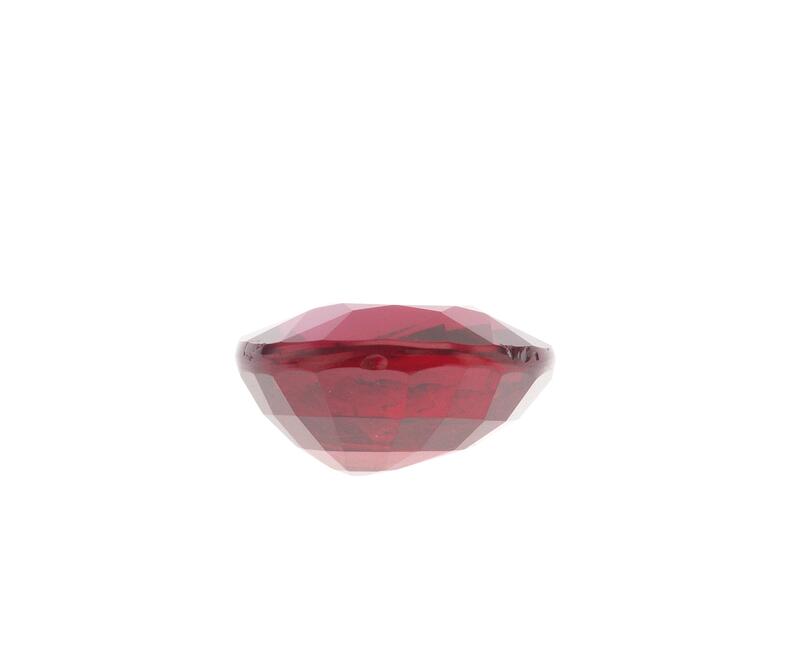 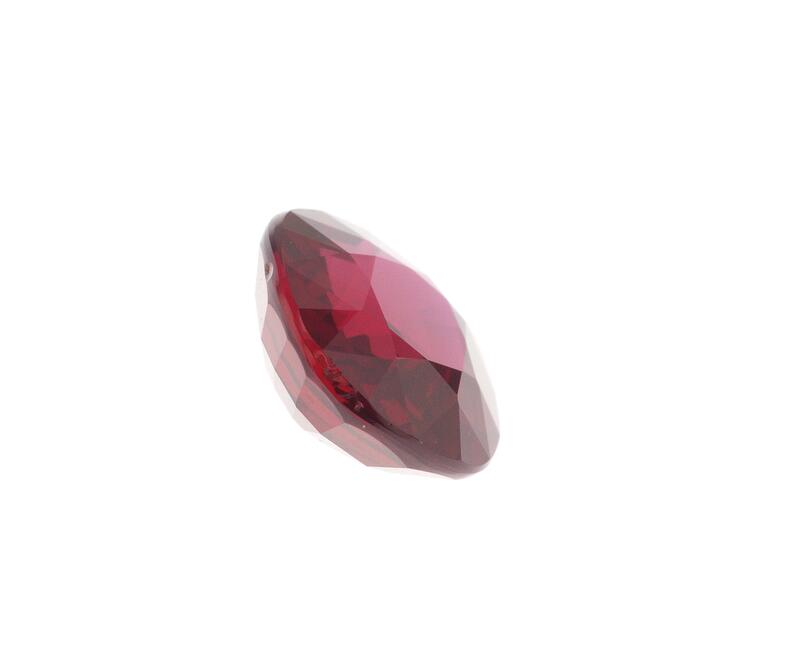 Beautiful oval shape ruby in lively and bright red colour. 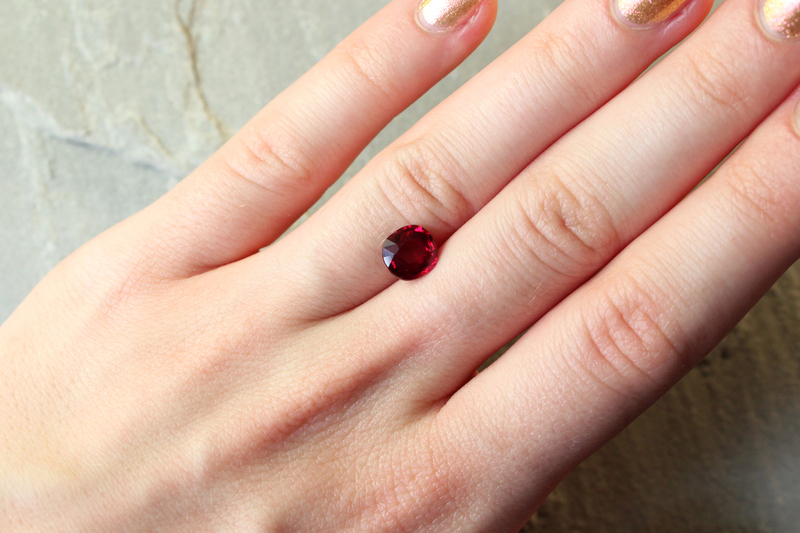 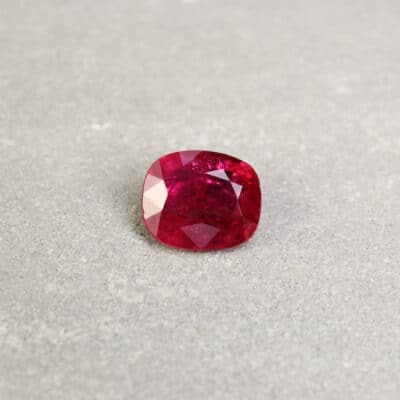 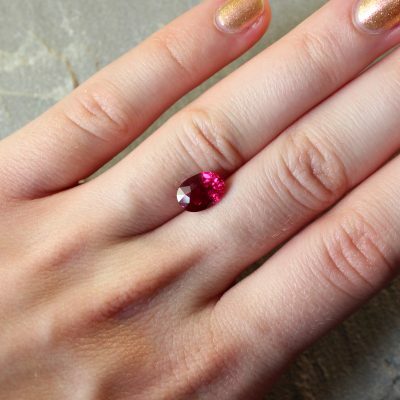 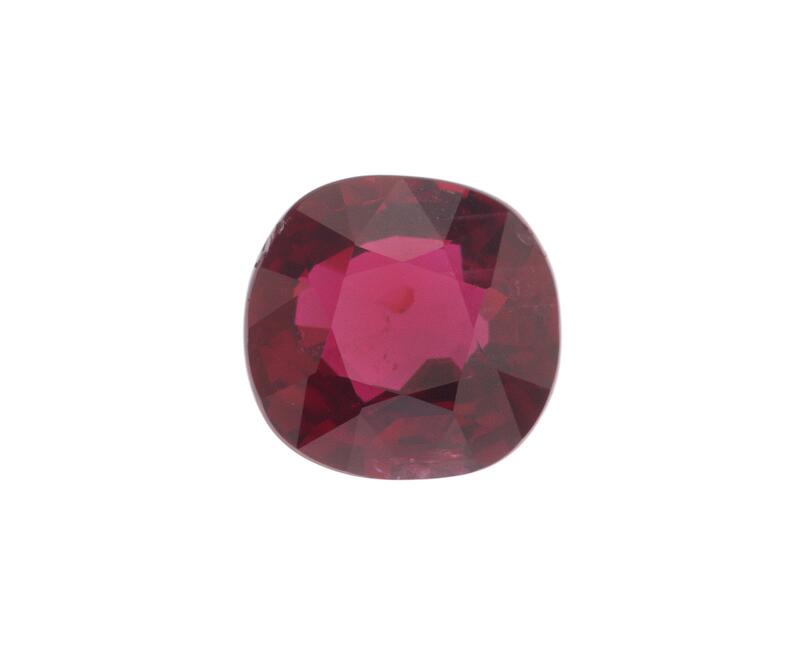 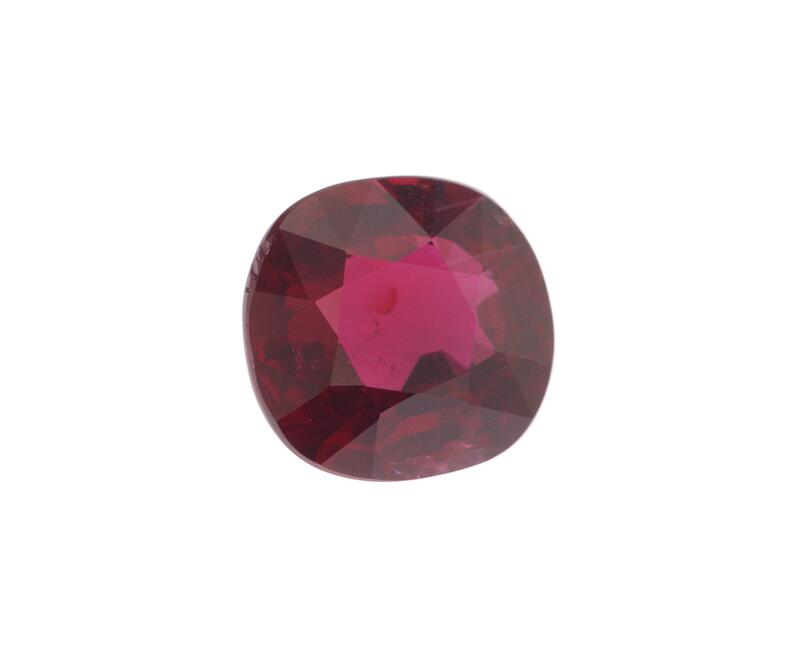 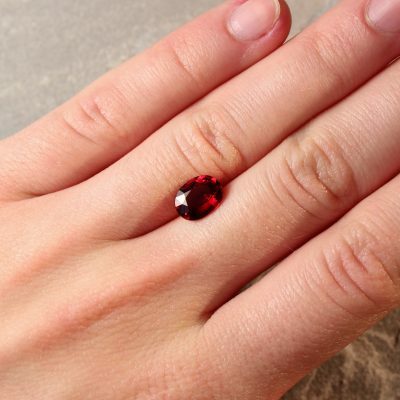 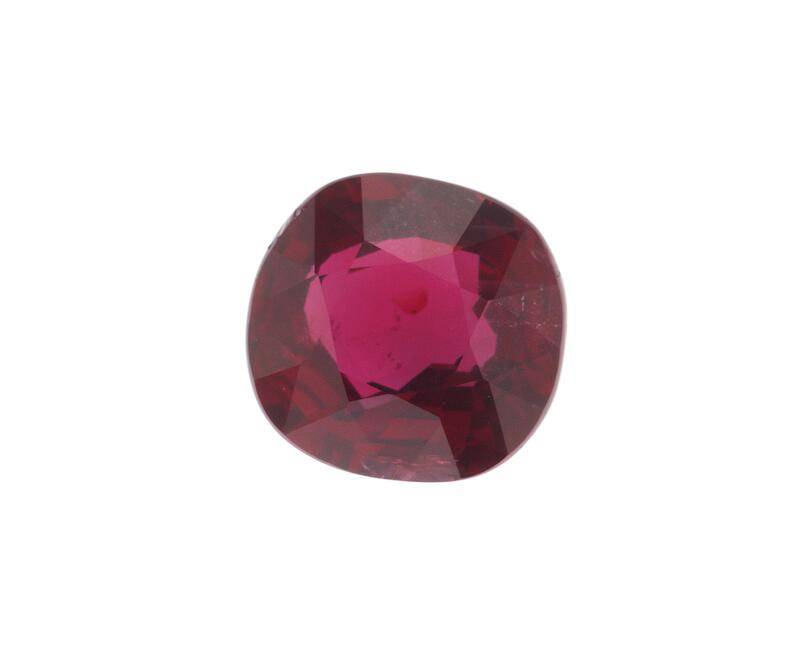 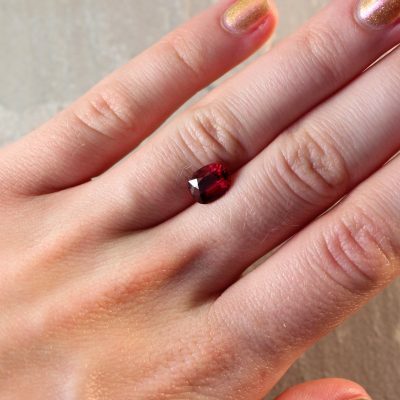 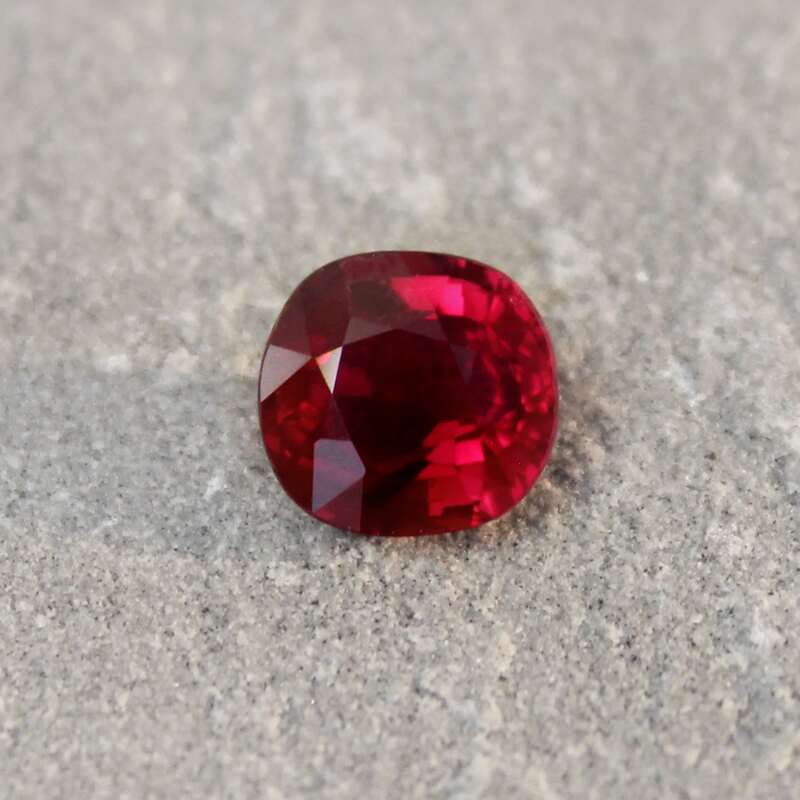 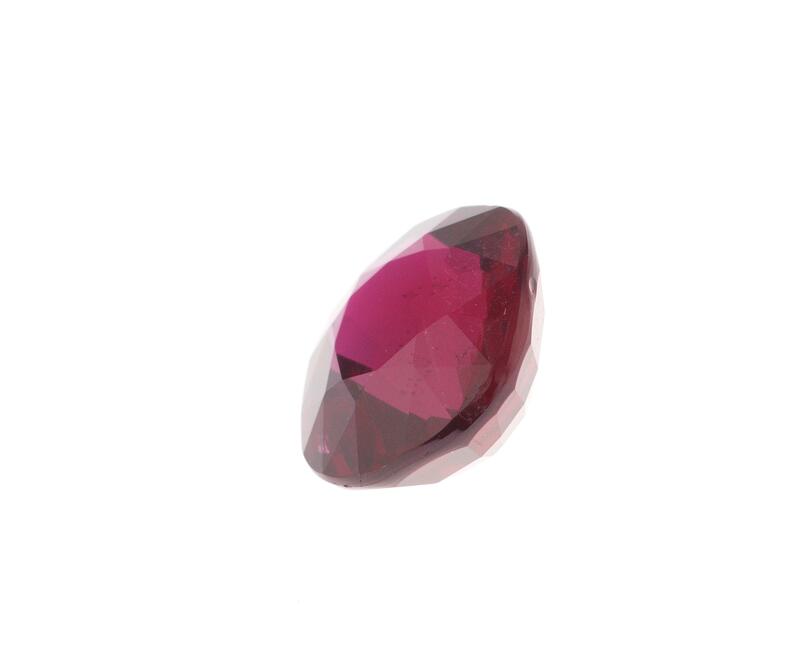 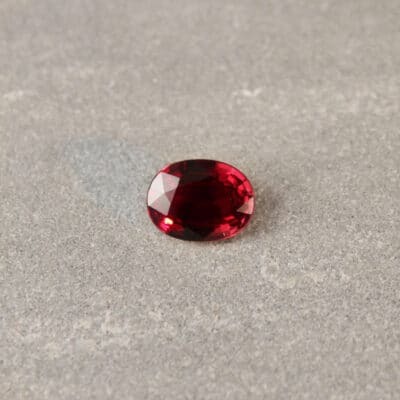 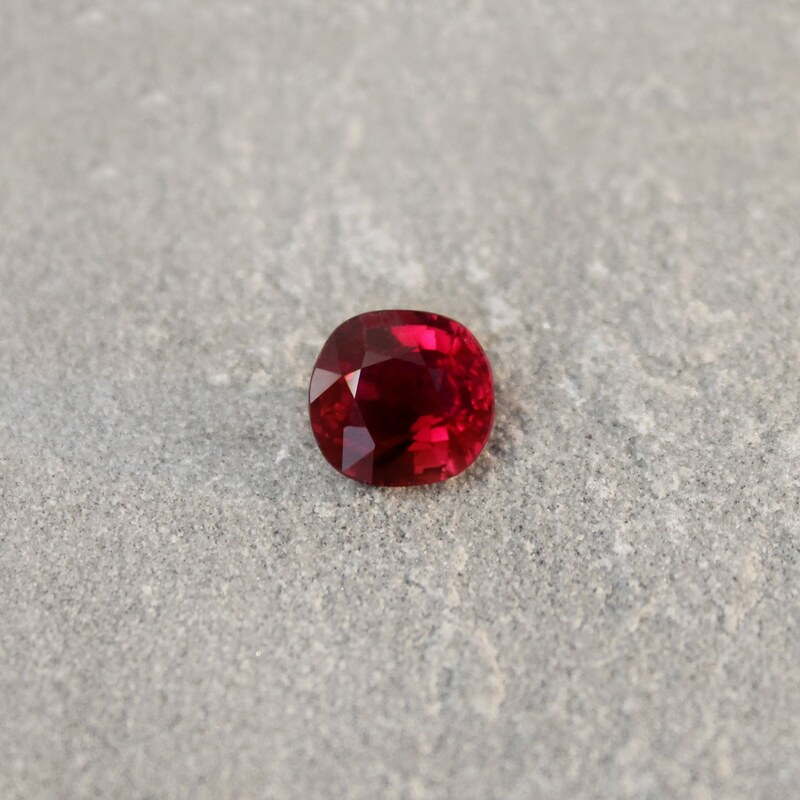 This gemstone would make an excellent ruby engagement ring, especially if paired with diamonds. 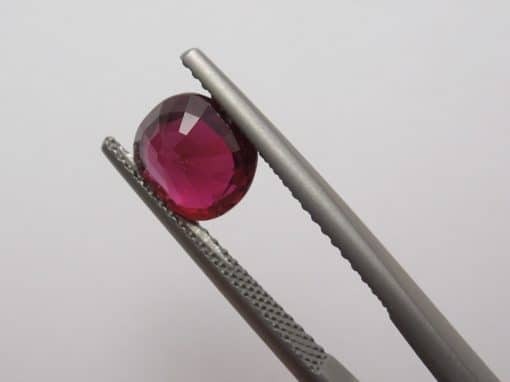 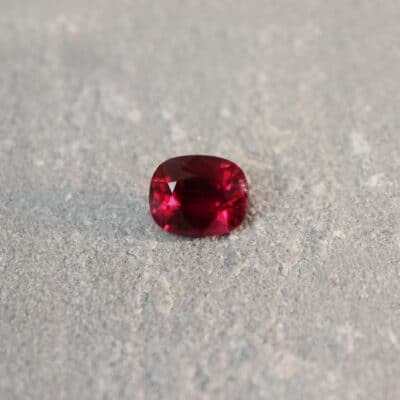 Rubies are, on the whole, very durable stones and are safe to use in jewellery dips and ultra-sonic cleaners, however avoid using heat with untreated stones as this could affect the colour and future recertification. 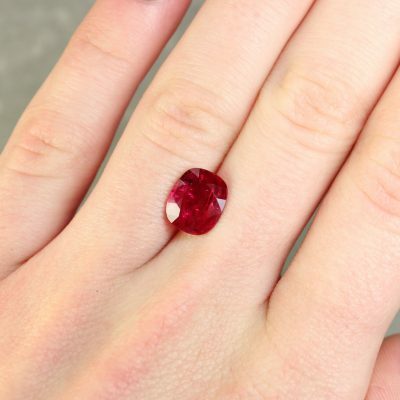 Avoid coating with borax before applying heat as borax may eat into rubies and sapphires.